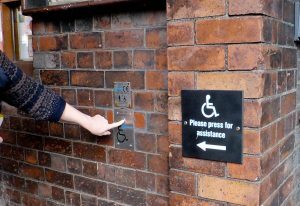 Ann, one of our members highlighted the problem of disabled access at Middleport Pottery. 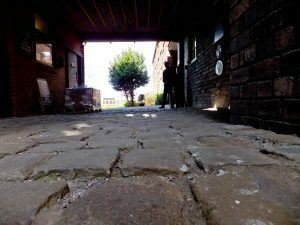 We contacted Middleport and Teresa Fox Wells said the problem was caused by the cobbles. The contractor had put some substance between the cobbles to try to even them out but this had broken up with the big vehicles passing over them. STAND members discussed the problem and invited Teresa to one of our meetings to discuss possible solutions. We then met Teresa on site at Middleport to see the extent of the problem for ourselves. DISABLED CAR PARK had 3 wide disabled bays 2 of which were taken up by people who were not displaying a blue badge. Suggested solutions SIGN to say blue badge holders only and the fine for abusing the bays. 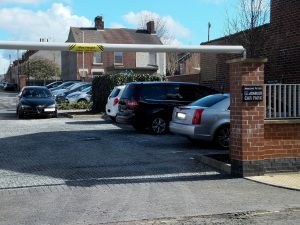 NOTICES to be put on the cars of offenders saying that their number had been taken and if they were found to be abusing the space again they would be fined.STAFF to monitor the bays throughout the day. ENTRANCE had no disabled access until you had passed over the uneven cobbles, which many disabled people would not be able to do. Suggested solutions BELL to press to get someone to help. COBBLES taken up, set in bitumen with bitumen poured down the cracks to level up the cobbles and level out the surface. ROUTE to the café and to the workshops to be given this treatment. CAFE has doors opening outward which means that someone in a wheelchair would not be able to open them. Suggested solution BELL on the door to summon staff to open the door. Teresa Fox Wells has informed us that the work has been done apart from the cobbles. 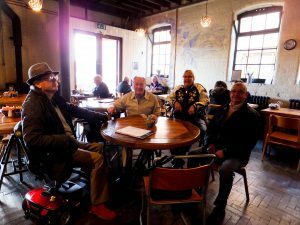 Apparently the contractor has gone into receivership and they are trying to see what can be done, meanwhile STAND members will be invited to see the work done so far at a visit to be arranged at our next meeting, for the end of November. 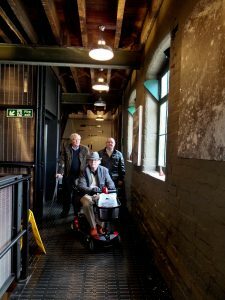 STAND members visited Middleport again to see the improvements. 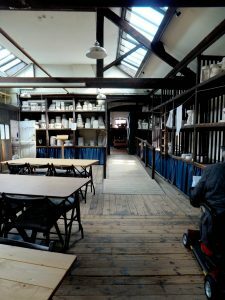 The contractor who did the cobbles originally and had promised to redo them had gone bankrupt which left the pottery with a huge problem, which they are still trying to resolve. On arrival we found the disabled car park to be much improved. All disabled bays were available for disabled people. ie NO ABUSE OF THE BAYS. Signs had been put up to make it very clear that these bays were just for blue badge holders. The spaces are wide enough for wheelchair transfers and the surface is firm. 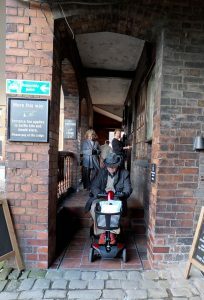 There is now a sign showing the route for people with disabilities at the front of the building but you need to remember it may not be suitable for people who cannot travel over the cobbles, at the moment. There is a sign showing the location of the call button once you are under the archway. This will call staff to lower or raise the lift. The Upper floors are serviced by a good sized lift which is easy to use. There are ramps to other areas and so is easy to get around. Some areas are impossible to make fully accessible. 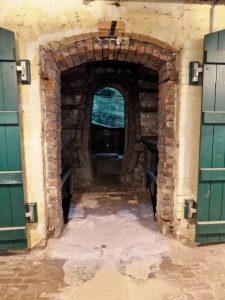 The bottle oven has a ramp so you can see inside it but the heavy metal frame around the door means that a wheelchair cannot get inside. Some of the workshops have a step up to them but Middleport are looking to get some ramps fitted in the future. Once you have been around the pottery you will want to sample the delights of the Tea Room. Again there are signs to show the route for wheelchairs. Take care down the slight slope because the Tea Room faces the canal. A lovely spot to take tea when the weather is kind, however there is a call button to get into the Tea Room. It is located outside the big picture windows. A lovely cup of tea and wonderful helpful staff. 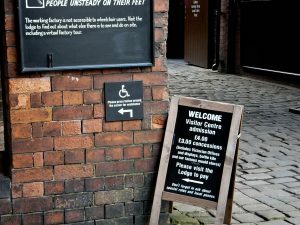 Middleport Pottery is to be commended for taking up the suggestions that STAND made to make the pottery more accessible. It is a delightful place to visit. 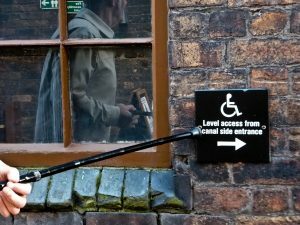 Middleport take disabled access very seriously and is constantly trying to improve the experience so everyone can enjoy their visit. 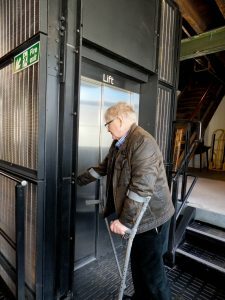 There are plans to make another entrance into the shop and that will be on the level and much easier for people with disabilities to use. I will let you know of any future developments. I have to congratulate everyone involved with the organisation of the Weeping Window event at Middleport Pottery. I was absolutely thrilled to see how easy it was to today when I visited with my husband who has a disability. 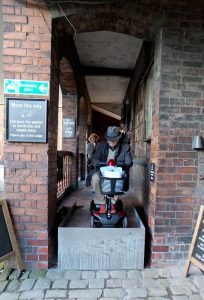 Designated parking was great, spaces to spare, good signage, lovely staff on hand to help, travelling over the cobbles was easy, due to the interlocking rubber mats placed over the cobbles. The site was not crammed full of people so there were seats to spare, easy access to refreshments, and space to see the poppies without fear of getting crushed or pushed. 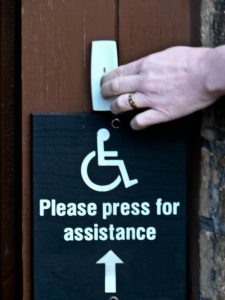 This is a free event and is a fantastic example of how people with disabilities can be welcomed on to a historic site given thought, work and consideration.